Companies are coming up woth clever ideas to make sure you stay with them. 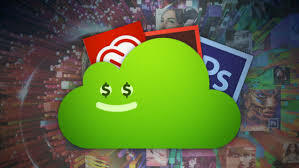 Microsoft, Quickbooks and Adobe are allowing users to rent their software monthly. Some of the perks- up to date software, cloud storage, accessing information online or through mobile applications etc. This plan pays for itself if you buy these heavy priced programs every few years.